RIO DE JANEIRO (AP) — Fresh off his Olympic silver medal, Juan Martin del Potro will return to the U.S. Open for the first time in three years after receiving a wild-card invitation from the U.S.
RIO DE JANEIRO (AP) — For a sport supposedly filled with folks who don't care about the Olympics, there sure was a lot of crying during the tennis competition at the Rio de Janeiro Games. 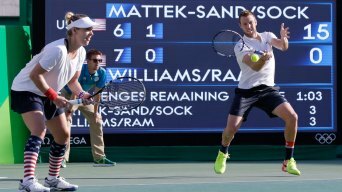 Andy Murray became the first Olympian to win two gold medals in singles tennis, and also won the hearts of people for the way he deflected a reporter's mistaken characterization of the achievement. 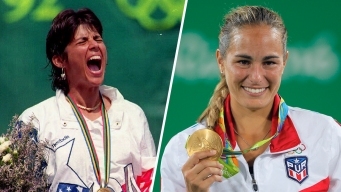 Monica Puig defeated Germany’s Angelique Kerber 6-4, 4-6, 6-1 to win the women’s tennis gold medal on Saturday, and accomplished something no one representing Puerto Rico has ever done in the process.